When the godfather of MTB trials and freeride Hans Rey agreed to share some of his valuable time with us for an interview for us we jumped at the chance. One of our best interviews to date and a genuinely nice bloke to chat with. During the mid nineties Hans created the Hans Rey Adventure Team, visiting remote and extreme locations around the globe, often riding his bike where a bicycle had never been ridden before. In addition, Hans would seek out locations that were both historic and held some mystery, always capturing his exploits for the media. Currently he is working with IMBA to develop more beginner friendly flow trails, like this Flow Country Trails idea. 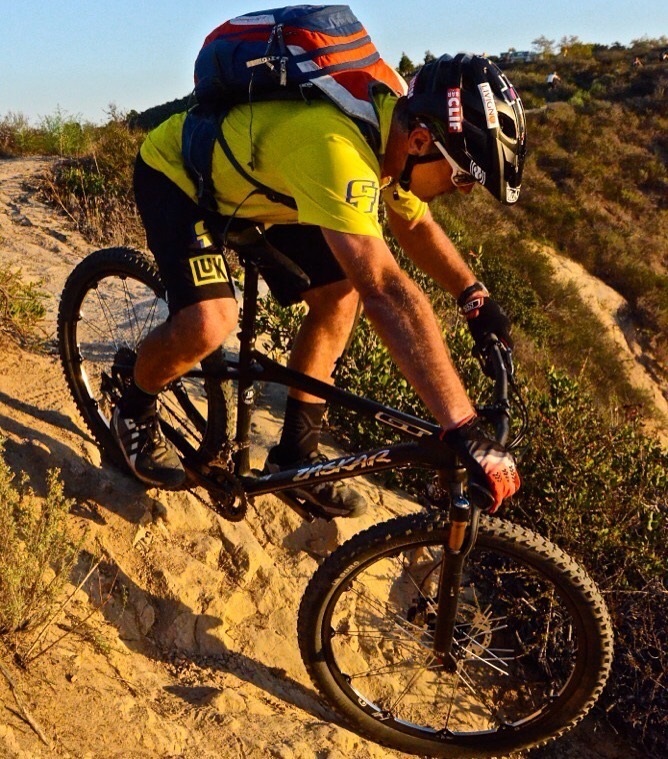 Rey has been a pro mountain biker for 25 years. His sponsors are: GT Bicycles, Adidas Outdoor, Livigno Bike Resort, LUK Automotive Systems, Crank Brothers, Kenda Tires, Fox Shox, iXS protection, Clif Bars, Sambazon Acai drinks, SQ Lab saddles, Deuter Rucksack, Shimano, Muc-Off and Adidas Eyewear. OSMTB: What is the biggest stunt you’ve ever pulled off? Hans Rey: Not quite sure? Riding the Cliffs of Moher definitely created the most known/spectacular photos. Jumping on a car on the 405 Freeway in Los Angeles got peoples attention and made me think outside the box. OSMTB: Have you ever ‘bottled’ out of doing anything , riding wise,that you wished you had attempted? Hans Rey: Not sure if I understand this question? 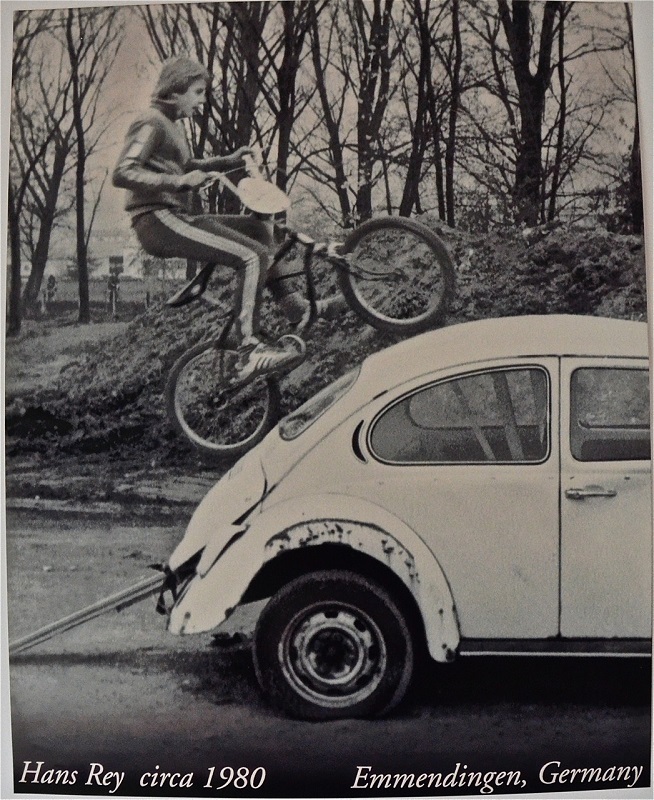 The one thing I regret for a long time not doing was riding the Berlin Wall in the days right after it came down. OSMTB: Do you have a collection of rides yourself and if so what is your favourite? Hans Rey: Yes, my garage is full of current and old bikes. One nice thing about being sponsored is to have a bike for almost every occasion. Some of my current bikes include: Zaskar 100, Zaskar 100 29r, Force, Fury, Sanction, Trials bike, road bike, dirt jump bike and even a Force with a bionx system. OSMTB: Where do you see yourself ten years from now? Hans Rey: That’s a tough question. I’ve been talking about retirement since I’ve been 16 years old, now I’m 46 – my career is going strong and I’m still having a lot of fun. My objectives have changed over the years, I would assume I will be still riding a bike and be involved on one or numerous levels with our sport and industry. In what form and to what extent I’m not sure. OSMTB: If you hadn’t been riding for a living, what would you be doing? Hans Rey: I would probably be in marketing, although my first choice would be a farmer. OSMTB: Of all the competitions you have competed in which was the most memorable and why? Hans Rey: The World Championships in Metabief, France, in 1993 were a highlight by winning the Trials and getting Bronze in the Slalom. OSMTB: What first got you into riding trials and extreme? Hans Rey: We had a moto – trials club in my German hometown, I wanted to ride moto and started on a bicycle and never changed – kind of grew up with the sport. Trials is European, unlike the roots of Mountain Biking or BMX. Once I came to the US I received instant recognition for my trials skills. After a while I was inspired by the new ‘Extreme Skiing’ boom, I wanted to transition out of racing and use my technical riding skills to become a ‘Extreme Mountain Biker’. That was about 5 – 6 years before the word Freeriding was adopted by our sport. OSMTB: How did you get the ‘No way’ nickname? Hans Rey: When I first came to the States they had never seen a trials rider of my caliber, they would always say “No Way” or challenge me to try lines and obstacles by saying “No Way”, which meant to me Game On – I’ll give it a try. Soon they started calling me “No Way Rey” – the name stuck. OSMTB: Do you still ride trials or are you more into trail type riding now? 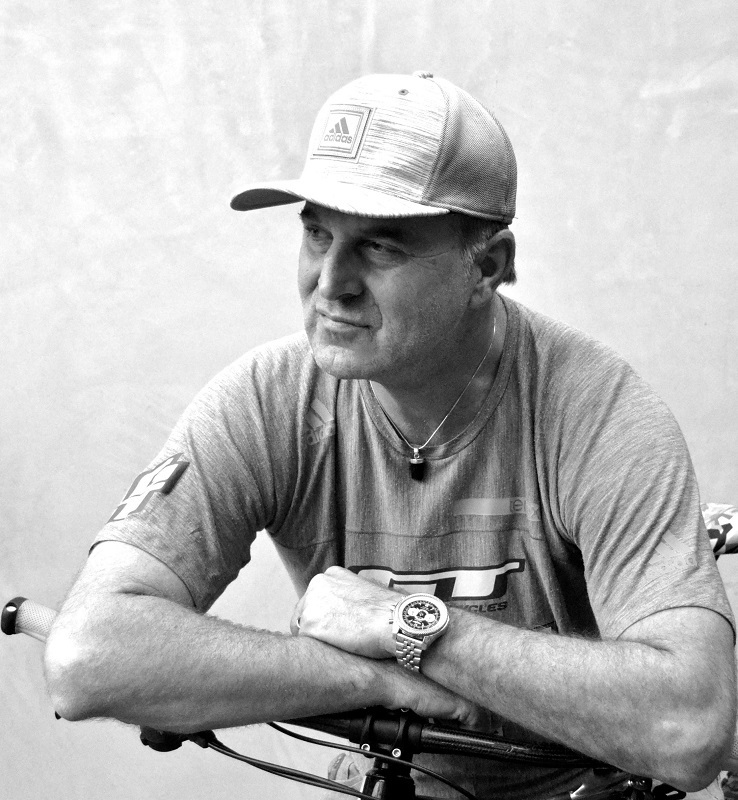 Hans Rey: I ride a lot more trail these days, but still try to ride once a week some trials. Its a lot harder and physically demanding than it looks like. OSMTB: What’s your take on all the modern freeride, dual slalom, four cross rubbish, surely it’s all just riding? Hans Rey: Ah, it’s all good – although the novelty has worn off for many riders and spectators. One of the cool things about Mountain Biking is that everybody can do it and interpret it their own way, hence the fact that we have so many sub-cultures and different kind of bike models. Its not easy for our industry, but that’s what it is. OSMTB:You are seen by many as the founder of what is now know as the freeride movement, do you think the limits are being pushed too far? The drops and stunts seem to be getting bigger and bigger. Hans Rey: For me personally yes, I wouldn’t want to jump these huge gaps but for the sake of the sport and natural evolution it’s a different story – that must be the decision of the riders and organizers involved. The sport seems to naturally regulate itself. First it was about steep chutes, then came the big drops to a point were it did get very dangerous and to heights that riders wouldn’t want to do on a daily basis. So tricks were added to the mix while jumps, gaps and stunts were downsized. Every evolution favored a different kind of rider. Too much BMX influence didn’t help freeride and estranged it from traditional mountain bikers. Events like the Rampage are special and unique. OSMTB: Do you own a 29er and, more to the point, do you like it? Hans Rey: I’ve had a 29er for over 5 years but I really got to appreciate them more and more in the past year. I think it has to do with the great geometry of my current bike and the availability of more and better components. OSMTB: What is the hardest flatland type trick to master? Hans Rey: My favorite is the G-Turn, if I only ever learned how to do one. OSMTB:What are your thoughts on the fixie revolution, fashionable or dangerous? Hans Rey: Not sure if I have an opinion. I never really got into fixie – not my cup of tea yet. OSMTB:How did the long running tie in with GT come about? Hans Rey: GT is family, they always treated me right and I have the philosophy why fix or change things if they ain’t broken and as long I’m happy. Richard Long, the late founder of GT, was a big supporter and inspiration – his idea of making my first trials video changed my career, life and our sport to a degree. In some ways my long relationship might also been accidental. I remember considering offers from other companies and I am glad I didn’t go that route – I have a feeling my career might been much shorter otherwise? OSMTB:Likewise, how did your participation in closing ceremony of the 1996 Olympics come about? Hans Rey: The Sport of Trials and yours truly were part of the very first ESPN X-Games (then called Extreme Games) in 1995. When the Olympics came to Atlanta choreographer Kenny Ortega (Michael Jackson, Highschool Musical, etc…) had this idea of an Extreme Sports act in the Closing Ceremonies – the idea was that traditional Olympic athletes shall meet the new generation of Extreme dudes and gals. We choreographed a 6 minute act with all kinds of action sports and guys like Tony Hawk, Mat Hoffman, Dave Mirra, Steve Caballero, etc…. OSMTB: What is your favorite era of GT bikes and why? Hans Rey: I have fond memories of my early days with GT, when they were mainly a BMX and Freestyle company, and I used to do many shows with those guys. I was one of the first two riders that formed TEAM GT’s legendary and traditional Mountain Bike Team – the heydays were the mid 90’s. Over the years many famous names have been part of this team and the tradition continues to this day. Hans Rey and Gary Turner. OSMTB: Pacific blue, how did that come about and did you enjoy making it? Hans Rey: I used to audition for TV commercials in Hollywood from time to time, some agent called and told me about this new show and that they were looking for stuntmen. They loved the tricks I could bring to the show, eventually I even got my own part to play myself in a few episodes. As cheesy as the show might have been, it had a big global reach and aired in over 100 countries. OSMTB: Loyalty in anything these days is rare, especially in sport. What made you loyal to GT when there were clearly other options out there? Hans Rey: As I mentioned earlier, GT was family and I was happy with my team, bikes and contract. We had always a mutual successful partnership – both ends delivered and made sure the other party was happy. I soon realized to treat my job as a business and also document my success’ and activities – including media coverage – which in the traditional way of sponsoring was the bottom line why many companies sponsored teams and riders. By making sure my sponsors knew what I was doing and the value I brought to the table, I put myself in a position that was hard to cut from the budget – especially when compared to other marketing initiatives and sponsorships. Most of my sponsors are long term, besides 26 years with GT I have also been more than 20 years with Adidas, LUK Automotive Systems and Shimano. Over 10 years with Fox Shox, Crank Brothers, Clif Bar and Sambazon Energy drinks. OSMTB: In your opinion what were the best and worst bikes that GT produced and why? Hans Rey: Worst is relative – one has to look at the time and the state of the sport and industry. GT was always a pioneer – pioneer work entitles trial and error, that’s how any industry or product evolves. Suspension bikes have come a long way, but its safe the say that the GT RTS and LTS were amongst the first ever production bikes that actually worked. We experienced with thermoplast frames, before Carbon was properly introduced to our sport. Thermoplast didn’t prevail but was an important stepping stone in our evolution. So were the GearBox bikes and many other projects GT spearheaded in the days – the last thing I would do is call them failures. I might be a bit biased, but I can think of many other companies early suspension systems that were nothing more than pogo sticks. OSMTB: In your career, how many prototype bikes have you had your hands on that never went into production? What were the model names? Hans Rey: I think most or all prototypes I have ever ridden went eventually in production, maybe not like the first generation prototype, but that is the reason for building them – to test them and work out the bugs so the consumer doesn’t have to do this. Sadly not every company has that philosophy. We used to build so called concept bikes and test the waters and get reactions, many of them were just crazy ideas of painting a picture of what future bikes could look like, most of those concept bikes weren’t even ride-able samples. 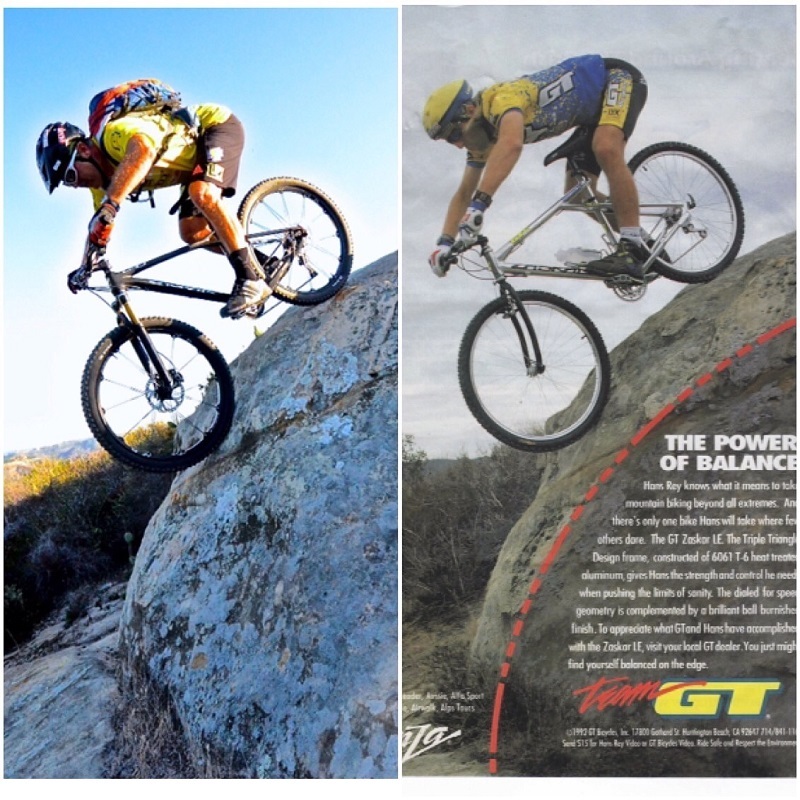 OSMTB:GT are making a line of Hans Rey bikes, how much say did you have in what whey were and how they were built? Hans Rey: I worked closely together with our product managers, my biggest influence were the spec and colors and graphics. The Zaskar 100 has exactly all the parts as I ride my personal bike. OSMTB: The GT “Hans Rey” collection is available to buy Including the Karakoram and the Avalanche. But what was the thinking behind the full suspension Zaskar? Does it not worry you that such an iconic bike that has always been a hard tail has now been turned into a full suspension bike? 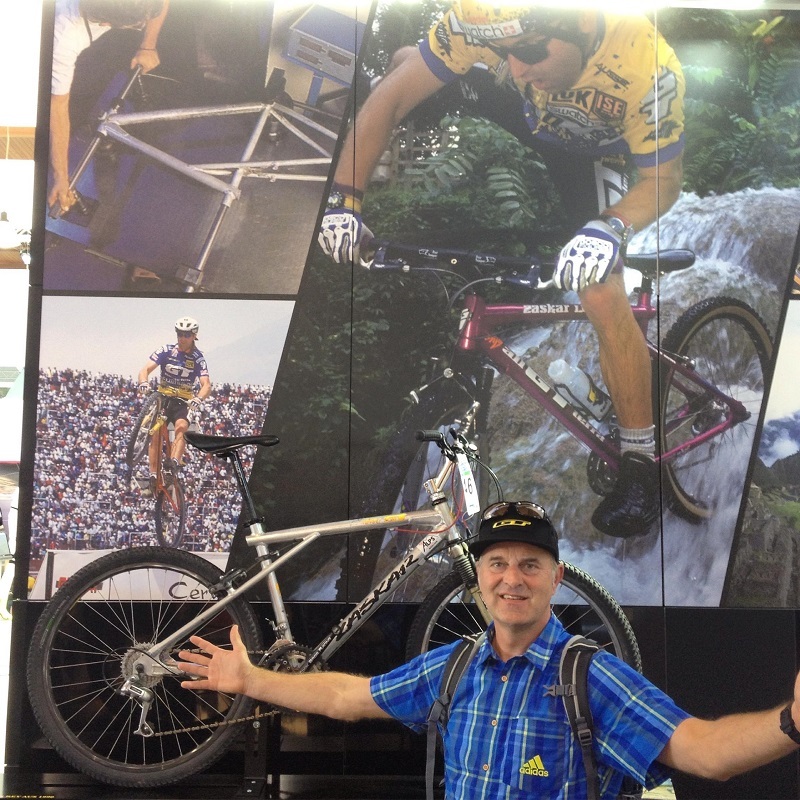 Hans Rey: Honestly, not really, I had more of a problem when GT decided in the late 90ties to make it a pure XC bike. For me the Zaskar was always the ultimate all-round bike to do it all. Hence the fact that this will be the only bike model ever that won a World Cup event in XC, Downhill, Slalom and Trials!!!! The Zaskar 100 is a great all round trail bike that can be used for many styles of trail riding. After all it is 2013 and frankly I’m over riding hard tail bike if I have a choice when it comes to XC or Trail riding. Hans Rey: I think the LTS nailed it – it was way ahead of its time and competitors – to this day, the old LTS design feel simply right when you sit on one or ride one. OSMTB: In 1998 when GT merged with Schwinn (questor partners) and then going bankrupt in 2001, what was going on in your mind at the time? 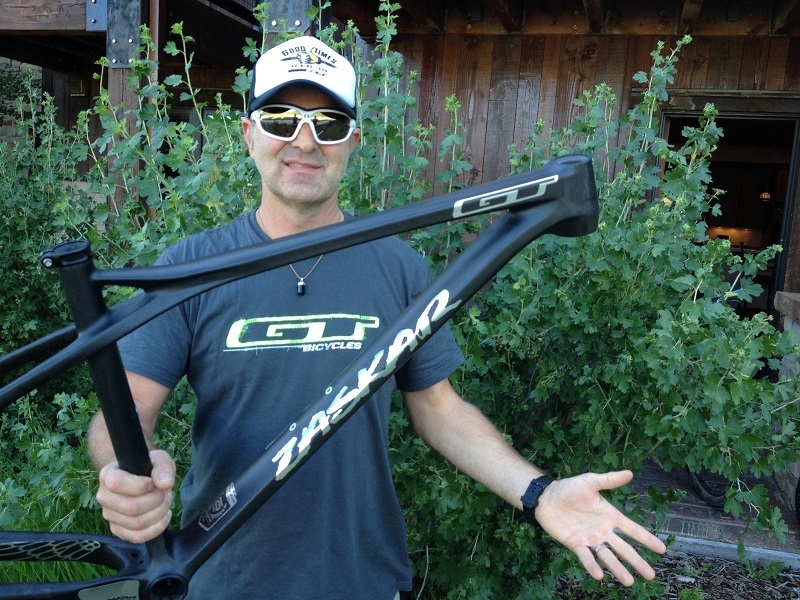 And was there ever a moment when you actually thought it was the end for GT bikes? Hans Rey: They surely were uncertain times. GT never went bankrupt because sales were down. It was mis-management from the investors, wrong expectations and the company was bought for too much money by Questor, and all that at a time when there were too many big players in the industry. It took the consequent owners and managers a lot of time to bring the brand back – it was great to be part of this in retrospect, especially now that we have gone full circle. GT is as strong and good as ever – wait ’til you see what new product is on the burner for the 2014 model year. Back when the bankruptcy was going down, all of the team riders were notified that we wouldn’t get paid for the last 3 month of our contracts – everybody jumped ship immediately. I thought to myself that can’t be it, and this brand will need me now more than ever. I did the math and figured they had sponsored me at the time for roughly 13 years, I thought I could hang on and ride for free for the time being since they had been a good sponsor – I wasn’t ready to give up on the yellow and blue. OSMTB: In your current bike collection do you have any old school rides that you still ride ,or still keep as you just could not part with them? Hans Rey: I kept a few bikes that had sentimental value or were just special. I rarely ride them anymore. That being said, there is a fanatic GT Collector in Switzerland, amongst his over 70 bikes he has 18 of my former ponies. He has my first Zaskar, which he let me ride in France at the VTT Reunion last year. 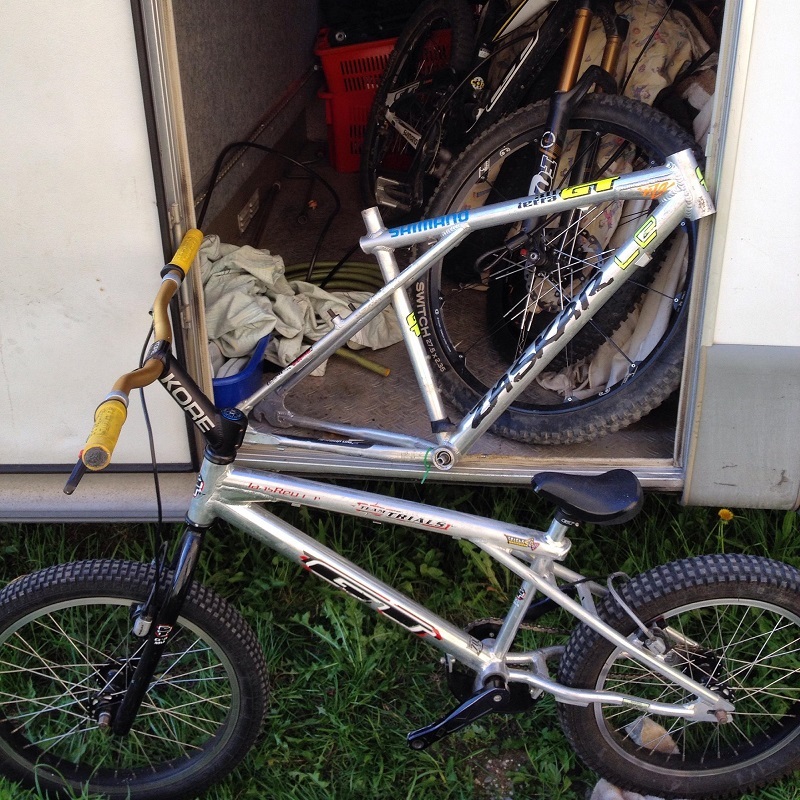 I still have many of my custom and hand-built 20 inch trials frames and forks, some were personally welded by Gary Turner (GT), I got a IT1 Gearbox, LTS, STS, some Zaskar’s like the red one with the yellow spin wheels from Pacific Blue and Machu Picchu, I also have some DHi’s and lots of other swag. OSMTB: How do you feel about the passion and love people have for retro GT bikes or old school bikes on a whole? Do you understand the fanaticism of getting a build done to spec as was released back in the day? Hans Rey: I think it’s awesome, nostalgic and helps preserve the history. I think the era of the collectors and retro lovers is just getting started. It takes some time to appreciate the past. OSMTB: Do you know anyone now (colleagues, friends or family) that collect and ride old school or retro bikes? Hans Rey: I know collectors and friends how appreciate the old bikes. It was great to see all the cool historic bikes last year at the Villard de Lans 25th anniversary event. I know Greg Herbold held on to most of his bikes. OSMTB:Do you still meet up with old team members and ride together? Hans Rey: I cross path with some and even ride together on occasion, some have disappeared and others still ride today. The list is very long of riders that have been on our team(s), would be interesting to compile. OSMTB: Besides Taylor Hawkins (Foo fighters) and Timmy C (Rage against the Machine) are there any other famous riders that you have met through the years that have surprised you? 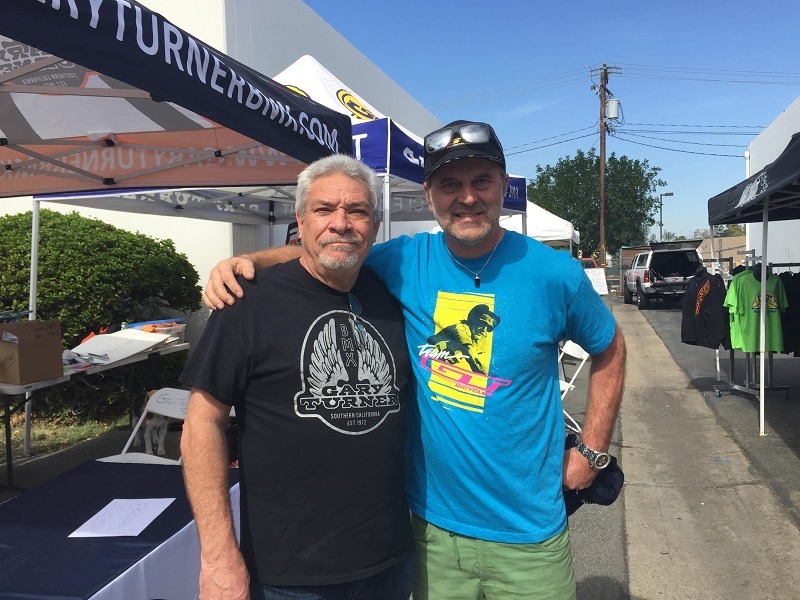 Hans Rey: Famous is a relative word, however there are a few celebrities I have met and many more I have heard of who have a passion for bikes and riding. Somebody told me recently that Izzy from Guns’ n’ Roses is a fan and bought a Hans Rey Avalanche for his collection. John McEnroe rides and so do many action sports stars, musicians and actors – some are more serious than others but none of them as serious, knowledgeable, passionate and good as Timmy C.
OSMTB: Who in your own opinion are the best riders you have rode with in your time? Hans Rey: You got some tough questions here, this is all relative to the time, era and riding style – often one isn’t comparable with another. 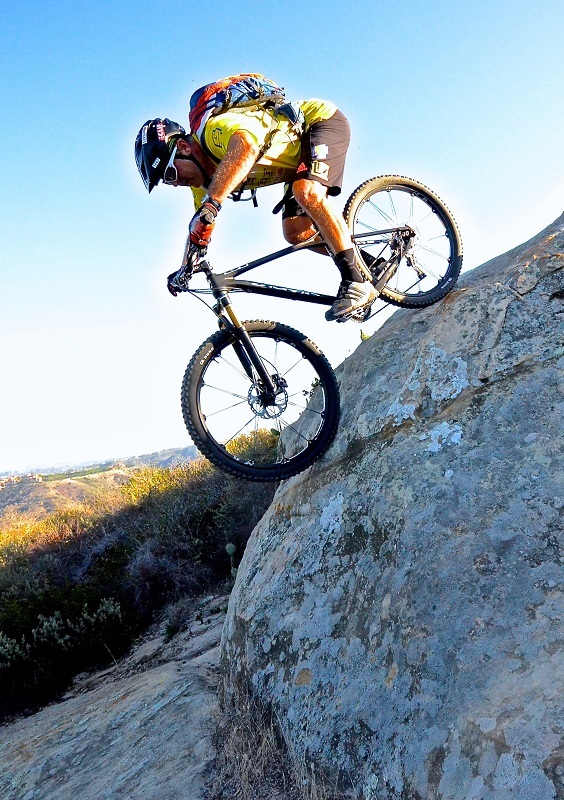 Amongst the best I would list Nico Voulliouz, Jerome Clementz, Brian Lopes, John Tomac, Danny MacAskill, Ot Pi, the list goes on and on – too many to mention…. OSMTB: We all have our idols from the cycling world as you are to many riders today. But who are your idols and who taught you, your skills on two wheels? OSMTB: What were your greatest moments in your life off and on a bike? Hans Rey: Besides meeting and marrying my wife Carmen, seeing the world and getting to meet many great and interesting persons,; on my bike it has been an accumulation of countless experiences, moments and friendships – living my dream. OSMTB:What is the one thing you would like to be remembered most for? OSMTB:How the new bikes compare to the bikes you raced back in the day? Hans Rey: Bikes have come a long way in every aspect and component, even the way we ride them has changed, not just because of functionality and geometry, but also the places we ride them at – purpose-built MTB trails didn’t exist in the early days. Its amazing how much technology can go into a bike these days. Back in the day we had one bike for everything, which is nice in many aspects but you had to deal with many compromises. Hans Rey: I think it is where we ride and how we ride the bikes these days. I think it is still only the beginning of Bike Parks, Flow Trails, ……. 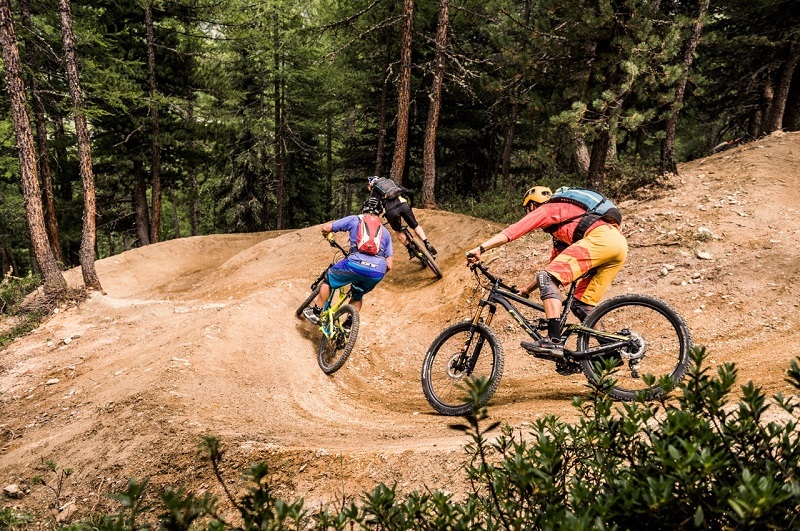 These facilities will attract a lot more people to our sport, it will become more family and beginner friendly, just like in skiing…..
OSMTB:What makes a really rideable MTB? Hans Rey: One that complements ones style and discipline. It is amazing how bikes keep evolving and getting better year after year. At the moment I really like Trail bikes that can do it all +/- 150mm travel, light weight, beefy fork, 2×11, dropper post, min. of 2.35 tires, and as of late 16degree sweeper bars. Hans Rey: Last summer I did a fantastic trip to Iceland, the landscape and the trails were phenomenal. I like to mix it up and love to explore new places. Planning a trip up Kilimanjaro later on this year. OSMTB: Can you tell us about the Hans Rey Adventure Team, what are the goals that the team set out to achieve and where’s the next stop? Hans Rey: I started doing these adventure trips long before the term became popular, I wanted to take my technical riding skills and ride places that hadn’t been ridden or were considered un-rideable, all while having some sort of a goal or mission. Be it a first descent or traverse of a mountain, be it in search of something historical or mysterious, be it more light-hearted like a pub to pub road trip or by supporting/promoting a good cause. 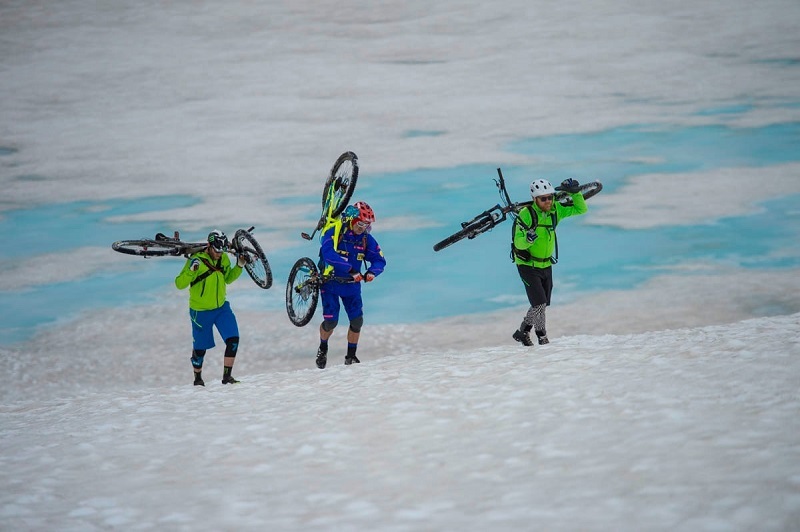 The Hans Rey Adventure Team is really a one man team with a constant change of cast of characters, photographers, film-makers and fellow riders. My trips are usually filmed and photographed, they are published and shown around the world which keeps the sponsors happy. I have currently a few trips on the back burner, looks like the next big trip will be to Uganda and Kenya to look after some of my projects for my charity, Wheels 4 Life. OSMTB:The Hans Rey Adventure Team seems to have taken you all over the world, what has been your favorite experience traveling? Hans Rey: The traverse and proper first decent of Mount Kenya with Richie Schley in 2004 was amongst my all time favorite trips. I also love the Alps, I spend several weeks every summer in Livigno (Italy). 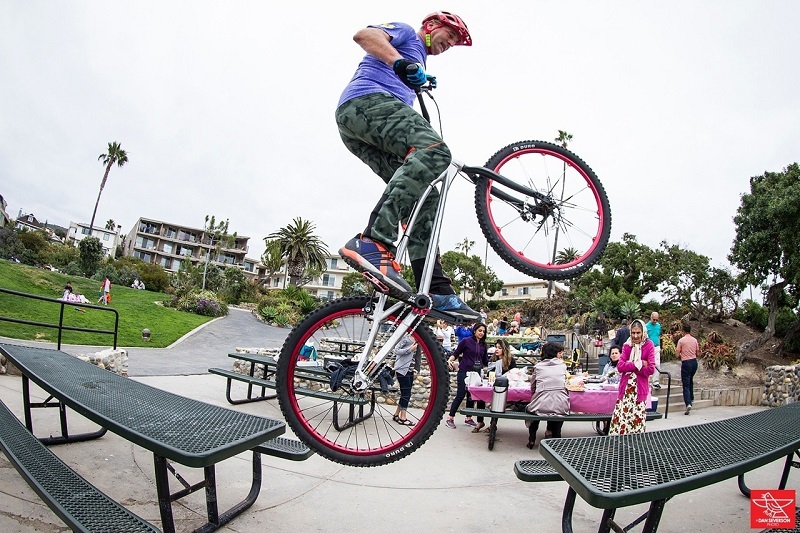 OSMTB:Wheels 4 Life has been going strong for 11 years now, with over 4,800 bikes delivered thus far. What was the driving force behind this venture? And where do you see the charity in the next 11 years? Hans Rey: Wheels 4 Life is run by my wife and myself. It’s my way to give back to the sport of cycling which has presented me a career I couldn’t have dreamt of. Bicycles have a very different meaning for most people in Third World countries, for us it’s often a toy or sports equipment, but in those poorer countries in the world, mobility is key to education, healthcare and livelihood. For us its about making a small difference and hopefully inspiring others to do their part as well. We are trying to run our charity very pure and efficient – we all work as volunteers for free, I pay for my related travel expenses, etc…. always out of my own pocket. As long as I’m a sponsored rider and beyond, I want to continue to give back and make a difference. OSMTB: Was the heyday of famous mountain bikers the 1990’s? Do today’s riders stand a chance of becoming household names like the riders of the 90’s? Hans Rey: The market sure has changed and is much more segmented which makes it harder for one single rider, no matter how good in his/her discipline to stand out. As Danny has shown us recently it is possible – he set a great and inspiring example of a person that has made his dreams come through, literally over night. Every era will have new heroes and stars and mediums of how they get there and become famous. Some ‘stars’ manage to glow longer than others, that can have many different reasons – often the first generation of stars is remembered the longest – at least that’s what it seems like in the music industry!? OSMTB:What have you been up to recently? Hans Rey: I’m as busy as ever, this year marks my 30th anniversary as a Pro Mountain Biker – a milestone that I couldn’t have imagined when it all started. I am lucky that I can still live my dream job and inspire people to ride. 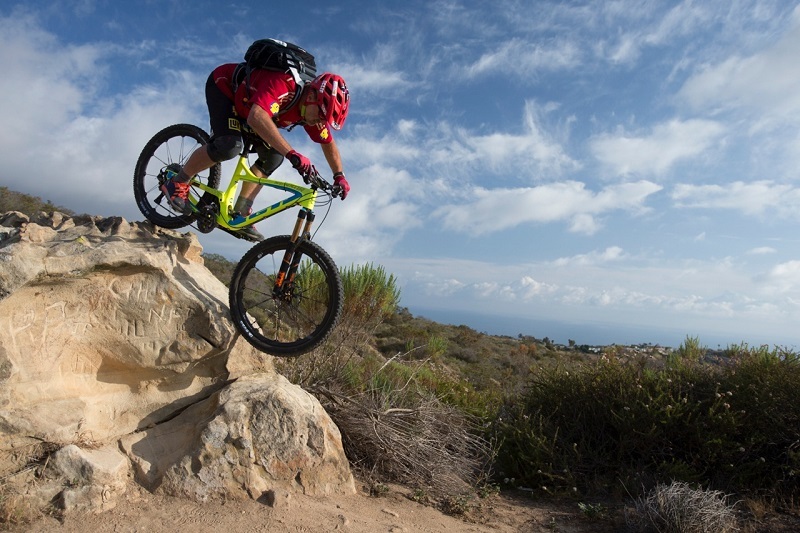 I am just getting ready to do a trip to Australia with Tyler McCaul were we will be doing a mini adventure an explore, for a change, purpose-built trails and trail centers. I’m also plenty busy with various sponsors, appearances and promotional work, as well as consulting work with partners and also tourist destinations. Last year was the 10th year that my wife Carmen and I have done our Wheels 4 Life charity. OSMTB:And finally a comment from one of our members: Not a question but say a thank you from me, Hans was the rider that got me into bikes. Cheers fella. Hans Rey: Thanks – Right on. Parts of this interview were published on an older version of this site in 2013 and is published here with the kind permission of Hans Rey. All photos courtesy of Hans Rey.